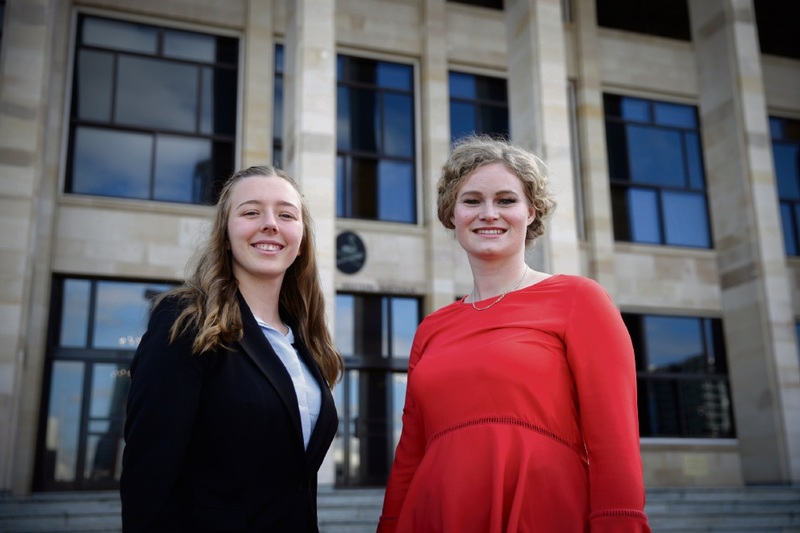 TWO Como residents took part in YMCA WA’s Youth Parliament program, which provides young people with opportunities to develop their leadership skills and learn about the political process in a forum like no other. Jemima Reid and Darci Miller were two of 59 participants who took part in the program last week. “I believe that through my participation in Youth Parliament, I will not only gain a greater understanding of politics and the way Parliament works but also broaden my views about issues that my generation will face in the future,” Miss Reid said. The program was held at Point Walter Recreation Centre and Parliament House and enabled young people to have a parliamentary experience while developing leadership skills, making new friends and building a network of like-minded people who care about the issues young people are facing. YMCA WA chief executive Ross Kyrwood said he believed this year’s participants, ranging in age from 15 to 24, would gain a lot from the experience. “Youth Parliament embodies our belief in the power of inspired young people,” he said. “This experience will allow young people to voice their opinions on issues that are important to them.